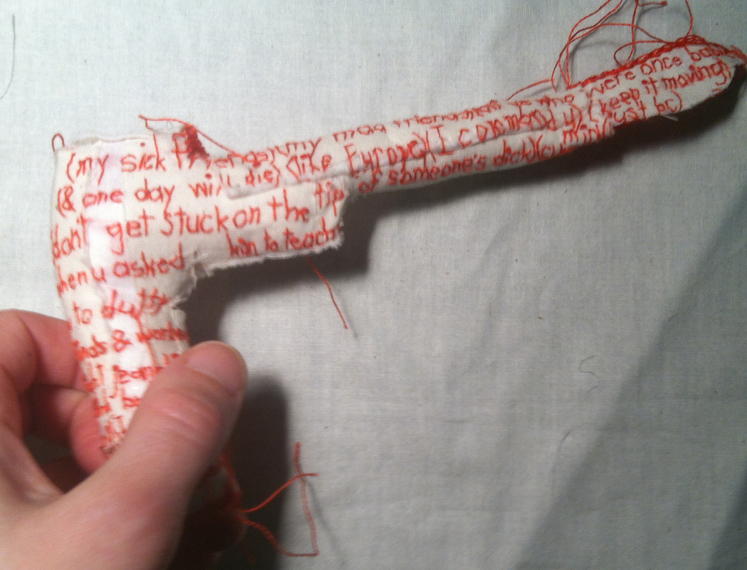 Soft, embroidered/stuffed “gun” by Iviva Olenick. 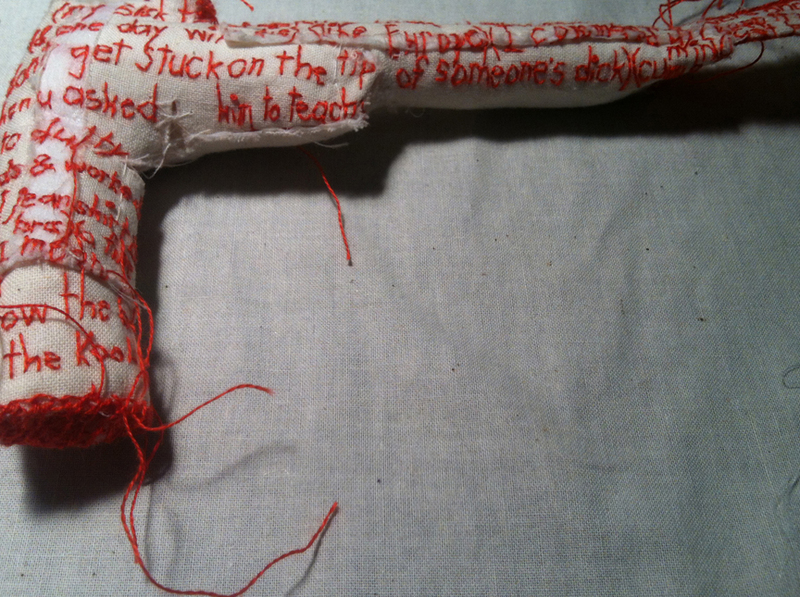 An extension of @EmbroideryPoems. 2014. 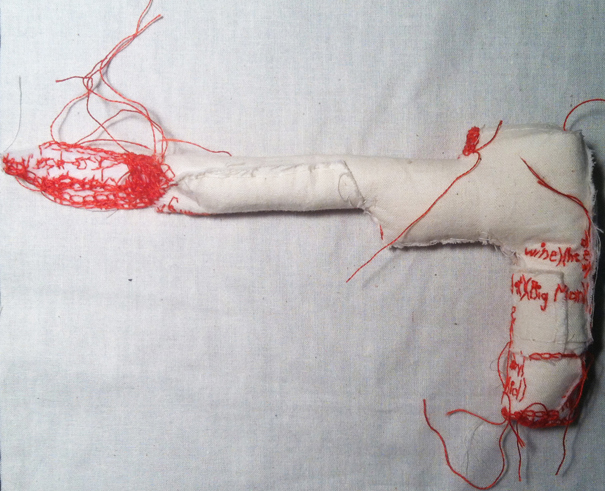 3.5″ h x 7″ w x 1″ d.